G.R. No. 113739 May 2, 1995 : CLAUDIO M. ANONUEVO, ET AL. vs. COURT OF APPEALS, ET AL. G.R. No. 108886 May 5, 1995 : AQUILES U. REYES vs. REGIONAL TRIAL COURT OF ORIENTAL MINDORO, BRANCH XXXIX, ET AL. Adm. Matter No. RTJ-95-1293 May 9, 1995 : GIL V. MANLAVI vs. EUSTAQUIO Z. GACOTT, JR.
G.R. No. 101444 May 9, 1995 : A.C. ENTERPRISES, INC. vs. CONSTRUCTION INDUSTRY ARBITRATION COMMISSION, ET AL. G.R. No. 113287 May 9, 1995 : LOYOLA SECURITY AND DETECTIVE AGENCY, ET AL. vs. NATIONAL LABOR RELATIONS COMMISSION, ET AL. G.R. No. L-42108 May 10, 1995 : OSCAR D. RAMOS, ET AL. vs. COURT OF APPEALS, ET AL. G.R. No. 110590 May 10, 1995 : ZORAYDA AMELIA C. ALONZO vs. IGNACIO M. CAPULONG, ET AL. G.R. No. 91756 May 11, 1995 : PEOPLE OF THE PHIL. vs. RAUL G. ESCOTO, ET AL. G.R. No. 117389 May 11, 1995 : ROMEO V. OBLEA, ET AL. vs. COURT OF APPEALS, ET AL. Adm. Case No. 2468 May 12, 1995 : NILO L. MIRAFLOR vs. JUAN M. HAGAD, ET AL. G.R. No. 100125 May 12, 1995 : PEOPLE OF THE PHIL. vs. ROMEO B. MAGALONG, ET AL. G.R. No. 113081 May 12, 1995 : WORLDWIDE PAPERMILLS, INC., ET AL. 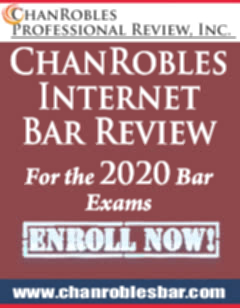 vs. NATIONAL LABOR RELATIONS COMMISSION, ET AL. G.R. No. 100911 May 16, 1995 : PEOPLE OF THE PHIL. vs. MAJID SAMSON, ET AL. G.R. No. 105248 May 16, 1995 : BENJAMIN ROMUALDEZ vs. SANDIGANBAYAN, ET AL. G.R. No. 112141 May 16, 1995 : PHOENIX IRON AND STEEL CORP. vs. SECRETARY OF LABOR AND EMPLOYMENT, ET AL. G.R. No. 96372 May 22, 1995 : ANTONIO L. CASTELO, ET AL. vs. COURT OF APPEALS, ET AL. G.R. No. 102485 May 22, 1995 : PEOPLE OF THE PHIL vs. LUIS TAMPAL, ET AL. G.R. No. 107903 May 22, 1995 : MARILOU RIVERA vs. COURT OF APPEALS, ET AL. G.R. No. 109991 May 22, 1995 : ELIAS C. QUIBAL, ET AL. vs. SANDIGANBAYAN, ET AL. G.R. No. 110658 May 22, 1995 : PEOPLE OF THE PHIL. vs. DEBORAH WOOLCOCK, ET AL. G.R. Nos. 116506-07 May 22, 1995 : BILLY P. OBUGAN vs. PEOPLE OF THE PHIL., ET AL. G.R. No. 95367 May 23, 1995 : JOSE T. ALMONTE, ET AL. vs. CONRADO M. VASQUEZ, ET AL. G.R. No. 115278 May 23, 1995 : FORTUNE INSURANCE AND SURETY CO., INC. vs. COURT OF APPEALS, ET AL. G.R. No. 116650 May 23, 1995 : TOYOTA SHAW, INC. vs. COURT OF APPEALS, ET AL. G.R. No. 68252 May 26, 1995 : COMMISSIONER OF INTERNAL REVENUE vs. TOKYO SHIPPING CO. LTD., ET AL. G.R. No. 109560 May 26, 1995 : NESTOR ILANO vs. COURT OF APPEALS, ET AL. G.R. No. 110776 May 26, 1995 : MARANAW HOTEL & RESORT CORPORATION vs. NATIONAL LABOR RELATIONS COMMISSION, ET AL. G.R. No. 112015 May 26, 1995 : PEOPLE OF THE PHIL. vs. RENATO DAEN, JR.
G.R. No. 114870 May 26, 1995 : MIGUELA R. VILLANUEVA, ET AL. vs. COURT OF APPEALS, ET AL. G.R. No. 115814 May 26, 1995 : PEDRO P. PECSON vs. COURT OF APPEALS, ET AL. G.R. No. 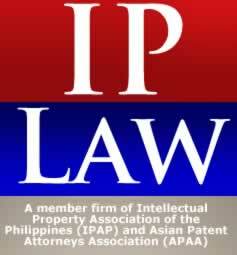 105208 May 29, 1995 : COMMISSIONER OF INTERNAL REVENUE vs. PHILIPPINE AMERICAN LIFE INSURANCE CO., ET AL. G.R. No. 109142 May 29, 1995 : PEOPLE OF THE PHIL. vs. IRENEO SILVESTRE, ET AL. G.R. No. 112045 May 29, 1995 : DANILO F.C. RIMONTE vs. CIVIL SERVICE COMMISSION, ET AL. G.R. No. 113786 May 29, 1995 : PEOPLE OF THE PHIL. vs. NONY BACLAYO, ET AL. G.R. No. 108544 May 31, 1995 : REPUBLIC OF THE PHIL. vs. NATIONAL LABOR RELATIONS COMMISSION, ET AL. G.R. No. 110808 May 31, 1995 : PEOPLE OF THE PHIL. vs. ALFONSO QUINEVISTA, JR.
G.R. No. 110954 May 31, 1995 : DELFIN N. DIVINAGRACIA, JR., ET AL. vs. PATRICIA A. STO. TOMAS, ET AL. G.R. No. 113739 May 2, 1995 - CLAUDIO M. ANONUEVO, ET AL. v. COURT OF APPEALS, ET AL. G.R. No. 108886 May 5, 1995 - AQUILES U. REYES v. REGIONAL TRIAL COURT OF ORIENTAL MINDORO, BRANCH XXXIX, ET AL. Adm. Matter No. RTJ-95-1293 May 9, 1995 - GIL V. MANLAVI v. EUSTAQUIO Z. GACOTT, JR.
G.R. No. 101444 May 9, 1995 - A.C. ENTERPRISES, INC. v. CONSTRUCTION INDUSTRY ARBITRATION COMMISSION, ET AL. G.R. No. 113287 May 9, 1995 - LOYOLA SECURITY AND DETECTIVE AGENCY, ET AL. v. NATIONAL LABOR RELATIONS COMMISSION, ET AL. G.R. No. L-42108 May 10, 1995 - OSCAR D. RAMOS, ET AL. v. COURT OF APPEALS, ET AL. G.R. No. 110590 May 10, 1995 - ZORAYDA AMELIA C. ALONZO v. IGNACIO M. CAPULONG, ET AL. G.R. No. 91756 May 11, 1995 - PEOPLE OF THE PHIL. v. RAUL G. ESCOTO, ET AL. G.R. No. 117389 May 11, 1995 - ROMEO V. OBLEA, ET AL. v. COURT OF APPEALS, ET AL. Adm. Case No. 2468 May 12, 1995 - NILO L. MIRAFLOR v. JUAN M. HAGAD, ET AL. G.R. No. 100125 May 12, 1995 - PEOPLE OF THE PHIL. v. ROMEO B. MAGALONG, ET AL. G.R. No. 113081 May 12, 1995 - WORLDWIDE PAPERMILLS, INC., ET AL. v. NATIONAL LABOR RELATIONS COMMISSION, ET AL. G.R. No. 100911 May 16, 1995 - PEOPLE OF THE PHIL. v. MAJID SAMSON, ET AL. G.R. No. 105248 May 16, 1995 - BENJAMIN ROMUALDEZ v. SANDIGANBAYAN, ET AL. G.R. No. 112141 May 16, 1995 - PHOENIX IRON AND STEEL CORP. v. SECRETARY OF LABOR AND EMPLOYMENT, ET AL. G.R. No. 96372 May 22, 1995 - ANTONIO L. CASTELO, ET AL. v. COURT OF APPEALS, ET AL. G.R. No. 102485 May 22, 1995 - PEOPLE OF THE PHIL v. LUIS TAMPAL, ET AL. G.R. No. 107903 May 22, 1995 - MARILOU RIVERA v. COURT OF APPEALS, ET AL. G.R. No. 109991 May 22, 1995 - ELIAS C. QUIBAL, ET AL. v. SANDIGANBAYAN, ET AL. G.R. No. 110658 May 22, 1995 - PEOPLE OF THE PHIL. v. DEBORAH WOOLCOCK, ET AL. G.R. Nos. 116506-07 May 22, 1995 - BILLY P. OBUGAN v. PEOPLE OF THE PHIL., ET AL. G.R. No. 95367 May 23, 1995 - JOSE T. ALMONTE, ET AL. v. CONRADO M. VASQUEZ, ET AL. G.R. No. 115278 May 23, 1995 - FORTUNE INSURANCE AND SURETY CO., INC. v. COURT OF APPEALS, ET AL. G.R. No. 116650 May 23, 1995 - TOYOTA SHAW, INC. v. COURT OF APPEALS, ET AL. G.R. No. 68252 May 26, 1995 - COMMISSIONER OF INTERNAL REVENUE v. TOKYO SHIPPING CO. LTD., ET AL. G.R. No. 109560 May 26, 1995 - NESTOR ILANO v. COURT OF APPEALS, ET AL. G.R. No. 110776 May 26, 1995 - MARANAW HOTEL & RESORT CORPORATION v. NATIONAL LABOR RELATIONS COMMISSION, ET AL. G.R. No. 112015 May 26, 1995 - PEOPLE OF THE PHIL. v. RENATO DAEN, JR.
G.R. No. 114870 May 26, 1995 - MIGUELA R. VILLANUEVA, ET AL. v. COURT OF APPEALS, ET AL. G.R. No. 115814 May 26, 1995 - PEDRO P. PECSON v. COURT OF APPEALS, ET AL. G.R. No. 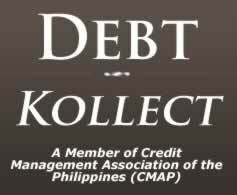 105208 May 29, 1995 - COMMISSIONER OF INTERNAL REVENUE v. PHILIPPINE AMERICAN LIFE INSURANCE CO., ET AL. G.R. No. 109142 May 29, 1995 - PEOPLE OF THE PHIL. v. IRENEO SILVESTRE, ET AL. G.R. No. 112045 May 29, 1995 - DANILO F.C. RIMONTE v. CIVIL SERVICE COMMISSION, ET AL. G.R. No. 113786 May 29, 1995 - PEOPLE OF THE PHIL. v. NONY BACLAYO, ET AL. G.R. No. 108544 May 31, 1995 - REPUBLIC OF THE PHIL. v. NATIONAL LABOR RELATIONS COMMISSION, ET AL. G.R. No. 110808 May 31, 1995 - PEOPLE OF THE PHIL. v. ALFONSO QUINEVISTA, JR.
G.R. No. 110954 May 31, 1995 - DELFIN N. DIVINAGRACIA, JR., ET AL. v. PATRICIA A. STO. TOMAS, ET AL.